Concept. 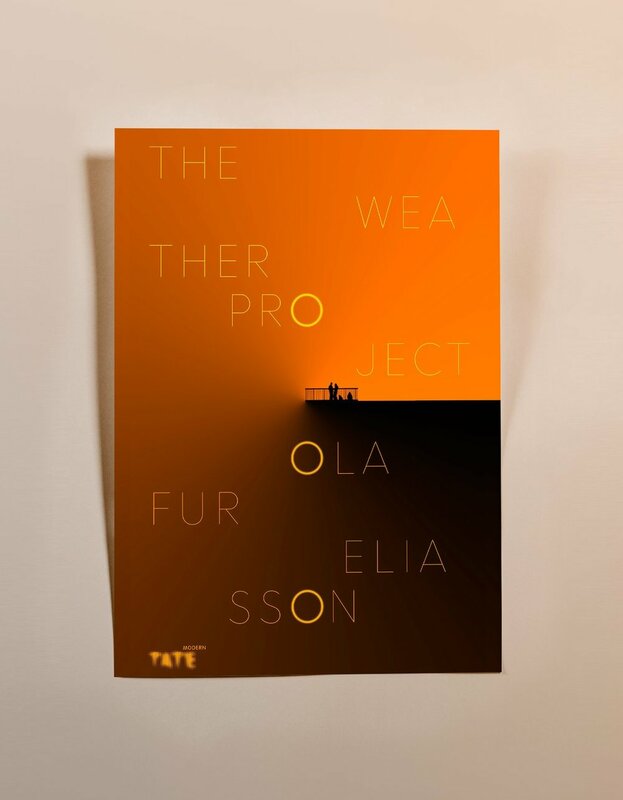 Poster design inspired by Olafur Eliasson's Exhibition, "The Weather Project". 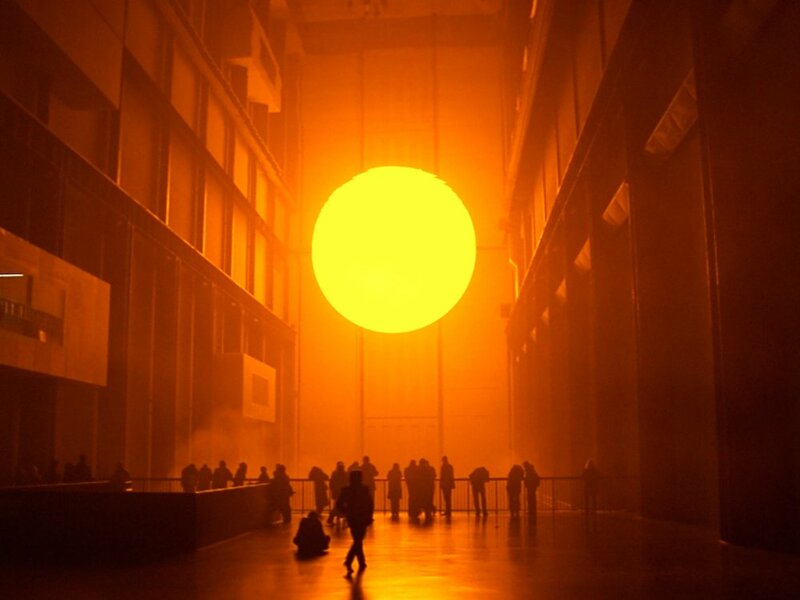 The poster is designed to capture the ora of color created by Eliasson's large yellow disk installation. The rounded o's stacked over each other reference the staged of the sun.